As the world is going through several economic and financial setbacks, the farmers are committing Suicides, the Banks are under the trap of Non-Performing Assets and high debt; there is an opportunity for introducing the Interest free banking also known as Islamic Banking. Some of us may criticize it for being a religious ideology and I have seen un-informed or radical people on TV Channel programs often misguiding the general public and communalizing the issue by remarking it as a threat to our country. What is Islamic Banking? It is basically a type of finance system based on the principle of not charging interest. Instead of charging interest the lender shares a portion of profit/loss with the borrower. In UK it is called alternative banking, Participatory Banks in Turkey and interest free finance & banking in several other countries. Globally, this system has witnessed a significant increase, especially in the wake of the 2008 financial crisis. Also it is expanding rapidly at a time when the developed countries of EU and Japan are introducing the negative interest rates. Major International Banks such as HSBC (Amanah), City Bank (Manarah), Standard Chartered (Saadiq) etc are providing Interest free windows in different countries. Not only Muslim countries but modern, secular and industrialized countries such as UK, France, Japan, Singapore and Hong Kong have become hub of interest free Islamic finance and banking. World Bank is also considering it as a priority area. In India, according to a report of RBI even after 45 years of nationalization, 41% of the people do not have access to formal banking. 61 % of the people are unbanked in rural areas. This type of banking has four important features — Riba, Haram/Halal, Ghararar/Maysir and Zakat. Riba is the most important aspect of interest-free banking, and means prohibition of interest. Haram/Halal is a strict code of “ethical investments” for interest-free financial activities. Such investment gives priority to the production of essential goods which satisfy the needs of the population such as food, clothing, shelter, health and education. Under Ghrarar/Maysir, gambling in all forms is prohibited. Zakat is an instrument for the redistribution of wealth in the form of a compulsory levy which is the basis of today’s Corporate Social Responsibility. Islamic banking prohibits investment in, or lending to, companies that do business or trade in alcohol, gambling, p0rn0graphy, pork and a broad array of entertainment activities. This seems to be beneficial for the low level households. The developments follow an agreement between India’s state-owned EXIM Bank and the Islamic Corporation for the Development of the Private Sector (ICD), a private-sector arm of the IDB group, as part of deals signed during PM Modi’s trip to Saudi Arabia in April 2016. The agreement in Jeddah was signed by Exim Bank regional head Tarun Sharma and ICD CEO Khaled Al Aboodi in the presence of Ahmad Javed, India’s ambassador to Saudi Arabia. It was also agreed that India’s state-owned Exim Bank would extend a US$100 million line of credit to facilitate exports to IDB member countries. In addition, the IDB pledged $55m to provide medical treatment to India’s rural poor. Its India operations will be headed by the Mr. Zafar Sareshwala, a prominent Muslim businessman from Gujarat who had accompanied the PM in Saudi Arabia and was appointed chancellor of the Maulana Azad National Urdu University soon after Narendra Modi assumed office. The alliance would open new opportunities for India and a healthy collaboration with the Middle East countries. It will surely open the windows for inflow of Investments in India by foreign institutions. The RBI has been considering Islamic banking entry into India for nearly a decade now. Although RBI governor D. Subbarao highlighted the incompatibility of Islamic Banking in India, but the Committee on Financial Sector Reforms (CFSR) headed by the then chief economist of the International Monetary Fund (IMF) Raghuram Rajan, who is now the Governor of RBI, had in 2008 talked about the need for a closer look into the issue. Consequently the arguments for Islamic banks were revived in 2012, when the state-appointed National Minorities Commission lobbied India’s finance ministry. In December 2015, an RBI committee tasked to study financial inclusion in India recommended that Islamic banks should be allowed to operate. Agriculture specialist and economist M S Swaminathan said Islamic banking could break the cycle of high debt and interest payments in which small entrepreneurs, farmers and artisans often find themselves. Zero-interest lending could also solve the crisis of indebted farmers committing suicide. The Mohanty report says: “One area that has not been adequately addressed is the role of interest-free banking in financial inclusion. Globally, interest-free banking, also known as Islamic banking, has witnessed a significant increase, especially in the wake of the financial crisis.” The report cites a survey saying “the evidence suggests that Muslims are less inclined to access formal finance, in general, although they might be accessing long-term formal finance”. All these proceedings provides a strong basis for the support of Interest free banking in India. Just before the global financial crisis of 2008, the 100 largest wholly Islamic banks, ranked by assets, held approximately $520 billion in assets 90.8 percent of these assets were owned by the Gulf countries, with Saudi Arabian Islamic banks controlling 49.5 percent, the UAE about 20 percent, Kuwait 17.4 percent and Bahrain about 11 percent. Oman is an exception, being the only member of the Gulf Cooperation Council which does not allow the establishment of Islamic banks within its territory. The governor of Oman’s central bank explained this by stating that there is no difference between the country’s Islamic banks and conventional banks. By 2020, The Global Islamic Banking Industry profit pool is expected to reach $30.3 billion. Islamic finance is open to everyone, not just Muslims. The Islamic Bank of Britain enjoyed a 55% increase in applications for its savings accounts by non-Muslims in recent years. 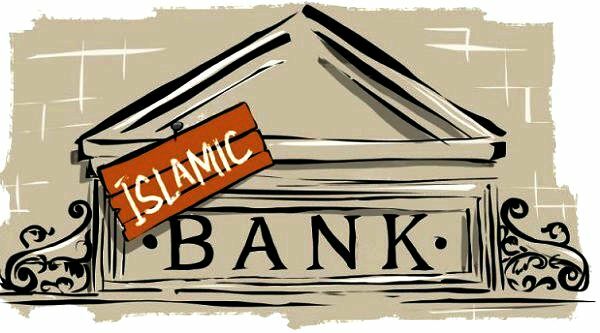 Islamic banking is gaining ground rapidly; although it is not 100% Islamic, There are several fraud banks using the name of Islam to fool the Muslim customers. The Fatwa clerics in the Indian subcontinent would also be a great challenge for the policymakers as there are several inventions and structural shift in the financial world. It remains on a very small scale by global standards. In order for it to reach the economies of scale and play a significant role in a globalized world economy, Islamic banking will have to strike a fine balance between the rules of the shari’a and global banking practices that are rapidly changing, particularly with the arrival of internet banking. The establishment of aware and ethical supervision system consisting of clerics, who understand the business of banking, will provide a boost for Islamic banking. Inputs from The Daily Indian Newspapers HT, Times of India. Reserve Bank of India report. कहां से लाते हैं ये बुजुर्ग इतना सारा प्यार?